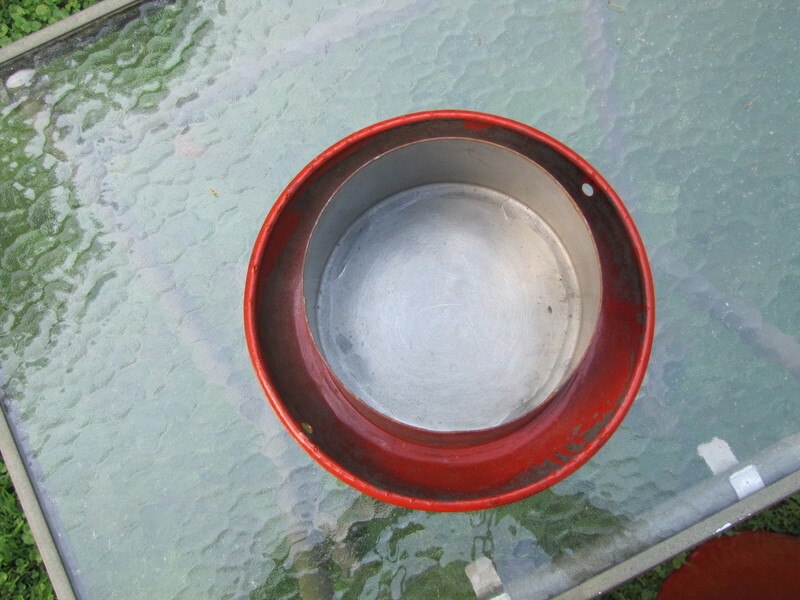 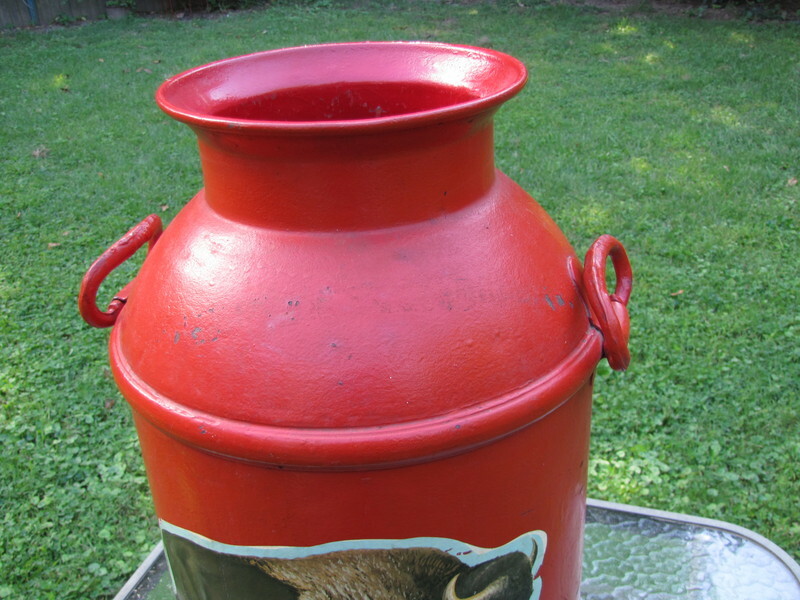 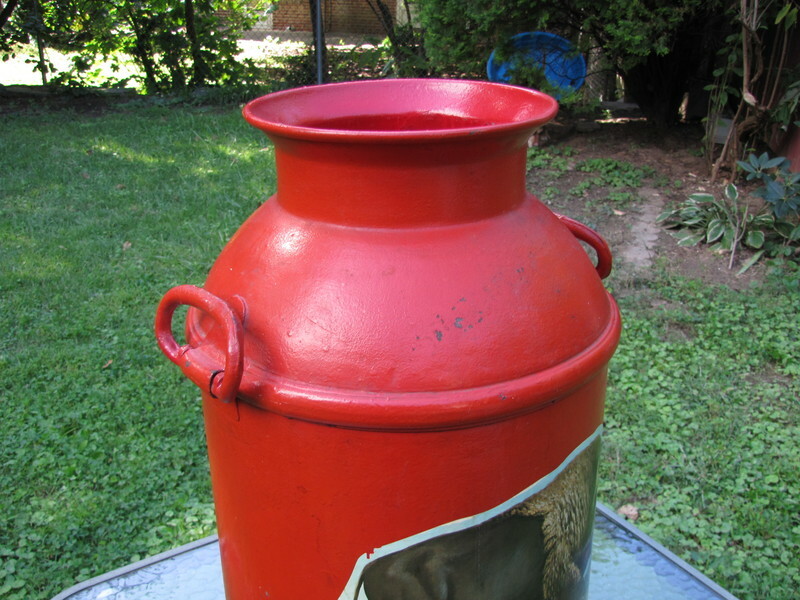 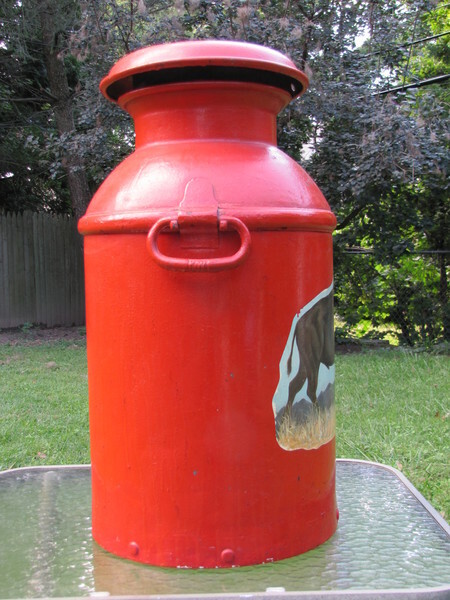 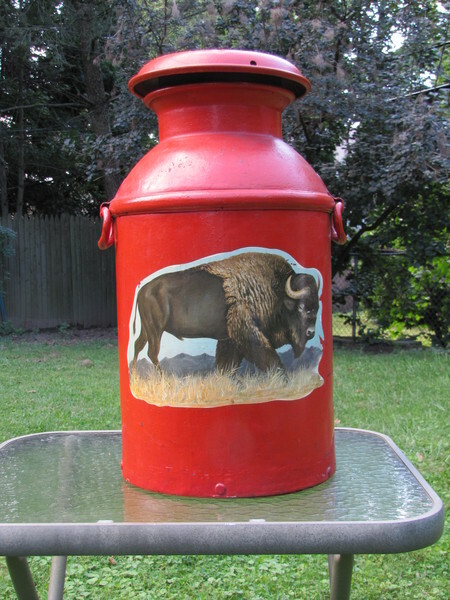 Authentic old dairy milk can painted Red with an American Buffalo Decal. 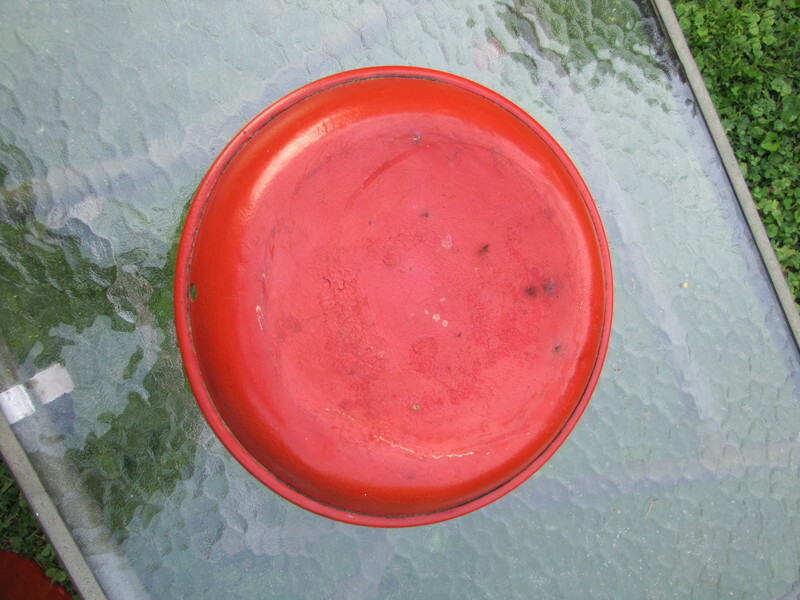 The Red paint work is poorly done and it appears there is either a Dark Green or Black paint surface under the Red paint. 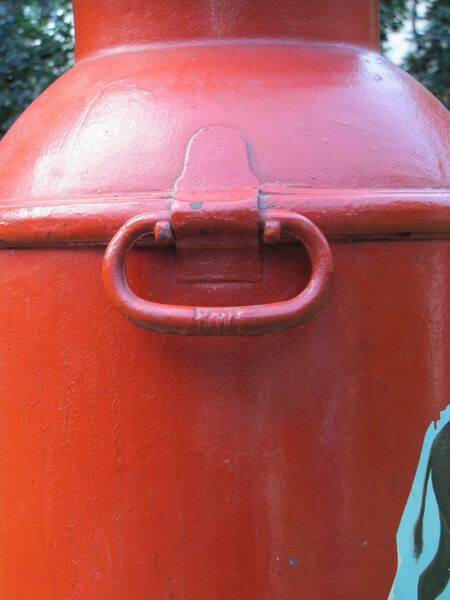 • Research indicates that the handles are drop forged... marked with KW. 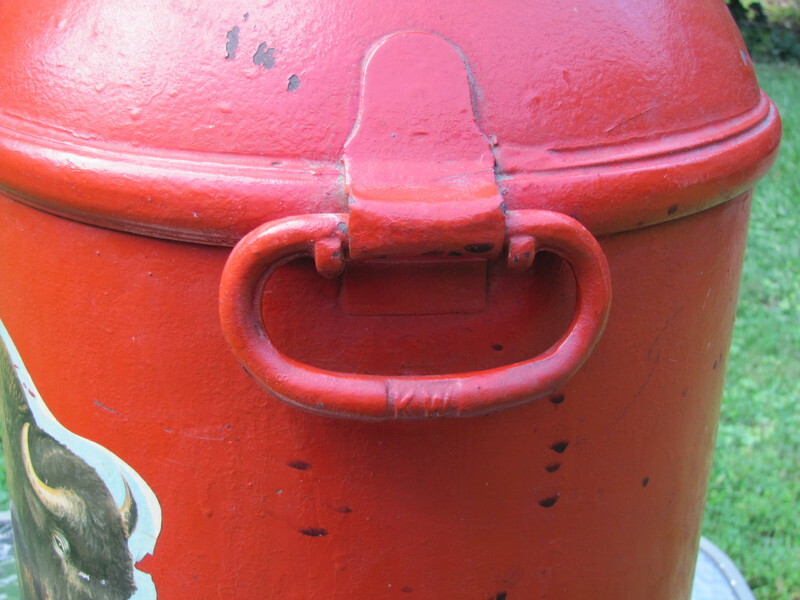 These are the highly sought after forged handles. 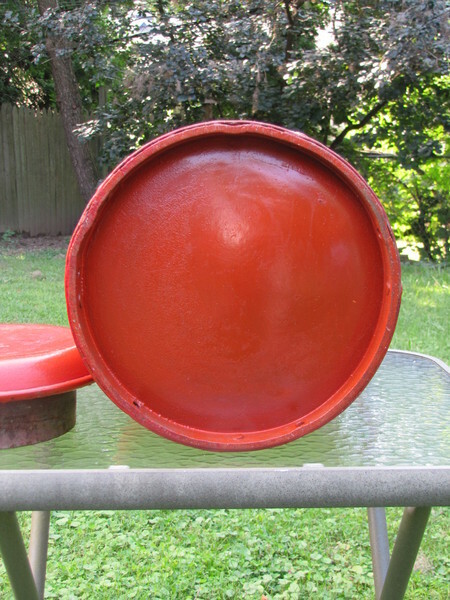 This can is Solid and perfect for a project or display it as is. 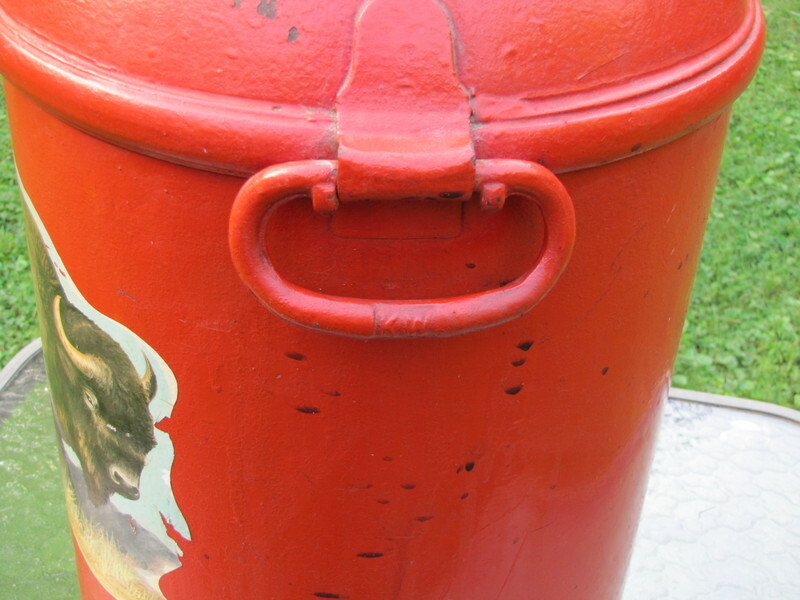 • Very good vintage condition! 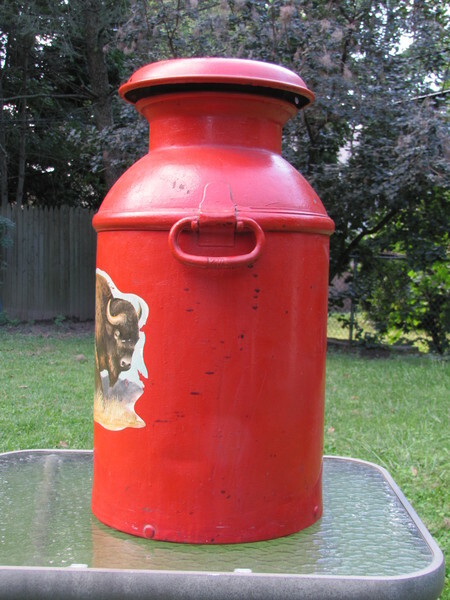 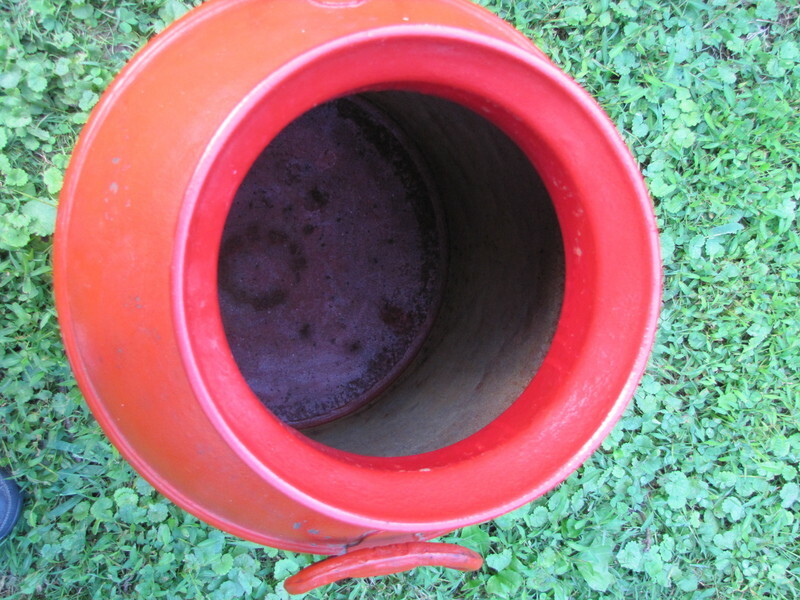 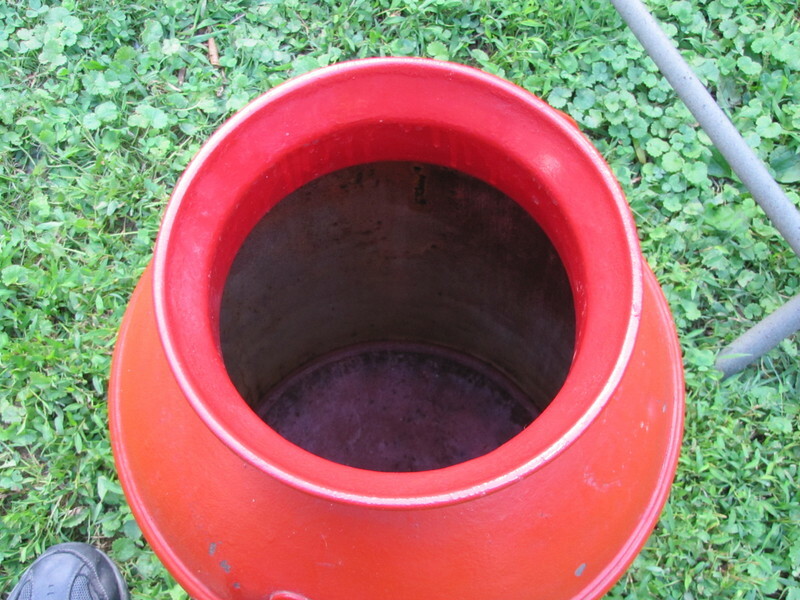 o Great Milk Can for someone to perform to create their own Personal Custom Milk Can. 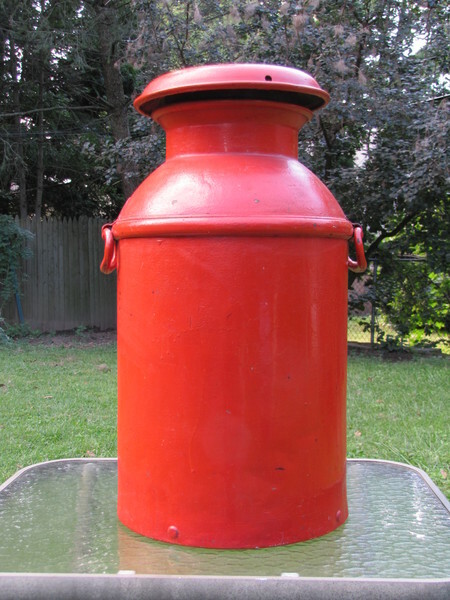 Price is $50.00 and must be picked up in Zip Code 19096.